The goal of this research was to evaluate and estimate the safety effectiveness of advance street name signs at signalized intersections in the Evaluation of Low-Cost Safety Improvements Pooled Fund Study (ELCSI-PFS), Phase II. This strategy is intended to reduce the frequency of older driver crashes and crashes related to way-finding (i.e., rear-end and sideswipe crashes) at signalized intersections. The estimate of effectiveness for advance street name signs at signalized intersections was determined by conducting scientifically rigorous before-after evaluations at sites where this strategy was implemented in the United States. The ELCSI-PFS provides crash reduction factor (CRF) and economic analysis for the targeted safety strategies where possible. This safety improvement and all other targeted strategies in the ELCSI-PFS are identified as low-cost strategies in the National Cooperative Highway Research Program (NCHRP) Report 500 Series guidebooks. Participating States in the ELCSI-PFS are Arizona, California, Connecticut, Florida, Georgia, Illinois, Indiana, Iowa, Kansas, Kentucky, Maryland, Massachusetts, Minnesota, Mississippi, Montana, New York, North Carolina, North Dakota, Oklahoma, Pennsylvania, South Carolina, South Dakota, Tennessee, Texas, Utah, and Virginia. Notice This document is disseminated under the sponsorship of the U.S. Department of Transportation in the interest of information exchange. The U.S. Government assumes no liability for the use of the information contained in this document. The U.S. Government does not endorse products or manufacturers. Trademarks or manufacturers' names appear in this report only because they are considered essential to the objective of the document. Quality Assurance Statement The Federal Highway Administration (FHWA) provides high-quality information to serve Government, industry, and the public in a manner that promotes public understanding. Standards and policies are used to ensure and maximize the quality, objectivity, utility, and integrity of its information. FHWA periodically reviews quality issues and adjusts its programs and processes to ensure continuous quality improvement. The Federal Highway Administration (Office of Safety Research and Development) managed this study. The project team members were Kim Eccles, Dr. Frank Gross, Nancy Lefler, Dr. Hugh McGee, Dr. Bhagwant Persaud, James Jenness, Andrea Piesse, Emanuel Robinson, and Paul Zador. The FHWA Office of Safety Research and Development Contract Task Order Manager was Roya Amjadi. Geometric, traffic, and crash data were obtained at signalized intersections for 82 sites in Arizona, 65 sites in Massachusetts, and 46 sites in Wisconsin. To account for potential selection bias and regression-to-the-mean, an Empirical Bayes before-after analysis was conducted to determine the safety effectiveness of installing advance street name signs. Based on the aggregate analysis, sideswipe crashes were the only crash type that changed significantly, which was a 27-percent reduction in Massachusetts and a 10-percent reduction for the three States combined. While results showed an insignificant reduction for total crashes in Massachusetts and Wisconsin, there was an insignificant increase in total crashes in Arizona. For the three States combined, there was a statistically insignificant reduction in total crashes (1.6 percent). The disaggregate analysis indicated that advance street name signs may be more effective on the major road at three-legged intersections as well as those locations with a relatively large average annual daily traffic (AADT) or a large expected number of crashes. Also, additional signs (i.e., two or more per approach) were shown to be more effective than just one advance sign. Based on conservative cost estimates, a reduction of just 0.01 crashes per intersection-year would achieve a 2:1 benefit-cost ratio. Given the very low cost of this strategy and the potential to enhance way-finding, the use of advance street name signs is justified, particularly at three-legged intersections and locations with a relatively large AADT or a large expected number of crashes. The Federal Highway Administration (FHWA) organized a pooled fund study of 26 States to evaluate low-cost safety strategies as part of its strategic highway safety effort. The purpose of the FHWA Low-Cost Safety Improvements Pooled Fund Study is to evaluate the safety effectiveness of several of the low-cost safety strategies through scientifically rigorous crash-based studies. One of the strategies chosen to be evaluated for this study was advance street name signs at signalized intersections. This strategy is intended to reduce the frequency of older driver crashes and crashes related to way-finding (i.e., rear-end and sideswipe crashes) at signalized intersections. Advance street name signs, placed far enough in advance of the intersection, give drivers additional time to make necessary lane changes and route selection decisions. An investigation is needed to evaluate the effectiveness of advance street name signs in reducing crash frequency and severity at signalized intersections, particularly for older drivers. The safety effectiveness of this strategy has not been thoroughly documented, and this study is an attempt to provide an evaluation through scientifically rigorous procedures. Geometric, traffic, and crash data were obtained at signalized intersections for 82 sites in Arizona, 65 sites in Massachusetts, and 46 sites in Wisconsin. In Massachusetts, the signs were installed as a blanketed effort in all but one district. In Arizona and Wisconsin, the strategy was implemented as a way-finding improvement at select intersections. To account for potential selection bias and regression-to-the-mean, an Empirical Bayes (EB) before-after analysis was conducted to determine the safety effectiveness of installing advance street name signs at signalized intersections. Based on the aggregate analysis, sideswipe crashes were the only crash type that changed significantly (i.e., 27-percent reduction in sideswipe crashes in Massachusetts and a 10-percent reduction in sideswipe crashes for the three States combined). Results indicated a statistically insignificant reduction for total crashes in Massachusetts (3.0 percent), Wisconsin (3.7 percent), and overall for the three States combined (1.6 percent). In Arizona, results showed a statistically insignificant increase (3.4 percent) in total crashes. For other target crash types (i.e., rear-end, older driver, and injury-related), there were mixed results, but all changes were statistically insignificant at the 95-percent confidence level. Due to the fact that these signs were installed as a way-finding improvement and not a safety improvement, it is not surprising that there was a minimal effect on total crashes. The disaggregate analysis provides further insight into the circumstances where advance street name signs may be more effective. Installations along the major road at three-legged intersections and locations with a relatively large average annual daily traffic (AADT) or a large expected number of crashes were found to be more effective. Also, additional signs (i.e., two or more per approach) were shown to be more effective than just one advance sign. While the disaggregate analysis does indicate a significant crash reduction for specific circumstances, these estimates are based on limited sample sizes and are not intended to be used as individual crash reduction factors. The general conclusion from this research is that advance street name signs have a minimal effect (less than a 4-percent reduction) on the total number of crashes at signalized intersections. However, for specific crash types (i.e., sideswipe crashes) and at specific locations (i.e., along the major road at three-legged intersections, locations with a relatively large AADT, and locations with a relatively large expected number of crashes), this strategy has the potential to significantly reduce crashes. Based on conservative cost estimates, a reduction of just 0.01 crashes per intersection-year (i.e., one crash every 10 years per treated intersection) would achieve a 2:1 benefit-cost ratio. Given the very low cost of this strategy and the potential to enhance way-finding, the use of advance street name signs is justified as a way-finding improvement, particularly at three-legged intersections as well as those locations with a relatively large AADT or a large expected number of crashes. From a safety standpoint, this strategy may not be justified as an effective measure to reduce total crashes, but it may be justified as an effective measure to reduce sideswipe crashes at or near signalized intersections. It is important to note that advance signing at signalized intersections can also be achieved through the use of yellow signal ahead warning signs with supplementary street name plaques. However, based on the availability of installation data, this evaluation focuses on the green MUTCD D3 series guide signs as shown in figure 1 and figure 2. Regardless of the type of advance sign to be installed, agencies should be consistent in the type and placement of the signs. A key to the success of this strategy is the placement and maintenance of the sign, which affects the visibility and conspicuity. In figure 2, the branches of the tree have been maintained so as not to cover the sign; however, a green sign against a green background (i.e., leaves) may not be desirable in regard to conspicuity. Figure 1. Chart. Advance street name guide signs from MUTCD. In 1997, the American Association of State Highway and Transportation Officials (AASHTO) Standing Committee on Highway Traffic Safety, with the assistance of the FHWA, the National Highway Traffic Safety Administration (NHTSA), and the Transportation Research Board (TRB) Committee on Transportation Safety Management, met with safety experts in the field of driver, vehicle, and highway issues from various organizations to develop a strategic plan for highway safety. These participants developed 22 key areas that affect highway safety. Two of these areas are older driver crashes and signalized intersection crashes. NCHRP published a series of guides to advance the implementation of countermeasures targeted to reduce crashes and injuries. Each guide addresses 1 of the 22 emphasis areas and includes an introduction to the problem, a list of objectives for improving safety in that emphasis area, and strategies for each objective. Each strategy is designated as proven, tried, or experimental. Many of the strategies discussed in these guides have not been rigorously evaluated; about 80 percent of the strategies are considered tried or experimental. The FHWA organized a pooled fund study of 26 States to evaluate low-cost safety strategies as part of this strategic highway safety effort. The purpose of the pooled fund study is to evaluate the safety effectiveness of several tried and experimental low-cost safety strategies through scientifically rigorous crash-based studies. Installing advance street name signs at signalized intersections was selected as a strategy to be evaluated as part of this effort. Advance street name signs are identified in the NCHRP Report 500 Series Volume 9 as a strategy used to reduce older driver crashes. (2) This strategy is particularly applicable where there are roadway features that drivers, particularly older drivers, may not anticipate or recognize (e.g., cross street name at signalized intersections). Older drivers, defined as drivers ages 65 and older, tend to be overrepresented in crashes at intersections, particularly in urban environments. (4) In general, older drivers need more time to process information than younger drivers. Research, mostly involving focus groups and questionnaires, has indicated that older drivers recognize that they need more advance notice of intersections, including enhanced visibility of cross street name signs. (5) Older drivers prefer street signs with large lettering, particularly at night. (6) The average legibility index for older drivers is between 0.48 m/mm (40 ft/in) and 0.36 m/mm (30 ft/in), which is below the nominal value of 0.6 m/mm (50 ft/in) that has been used in the past for the general driving population. (6)The legibility index indicates the distance from which a sign is legible based on the letter height. For example, a legibility index of 0.6 m/mm indicates that for every 1 mm of letter height, the distance from which the sign is legible will increase by 0.6 m.
Providing drivers with additional advance notice of intersecting roadways may help reduce rear-end and sideswipe crashes occurring as a result of drivers making late braking or lane change maneuvers in close proximity to the intersection. On the other hand, some drivers (particularly older drivers) may have a tendency to brake excessively whenever a signal or road sign is sighted. (7) This tendency could potentially lead to an increase in rear-end crashes before the intersection where an advance street name sign is installed. An investigation is needed to evaluate the effectiveness of advance street name signs in reducing crash frequency and severity for signalized intersections, particularly for older drivers. Crashes involving older drivers (ages 65 and older). It is possible that the range of safety effects may vary by crash type and intersection type. Therefore, a second objective was to conduct a disaggregate analysis of the strategy for various site conditions. Pool data from multiple jurisdictions to improve reliability of the results and facilitate broader applicability of the research products. The study design involved a sample size analysis and prescription of needed data elements. The sample size analysis assessed the sample size required to statistically detect an expected change in safety and determined what changes in safety could be detected with likely available sample sizes. Sample size estimations required assumptions of the expected treatment effects and the average crash frequency at treatment sites in the before period. Minimum and desired sample sizes were calculated assuming a conventional before-after with reference group study design, as described in Hauer and a literature review of likely crash rates. (9) The sample size analysis undertaken for this study addressed the sample size required to statistically detect an expected change in safety. The sample size estimates were conservative because the EB methodology was incorporated in the before-after analysis rather than applied in a conventional before-after analysis with reference groups. Sample sizes were estimated for various assumptions of the likely annual crash frequency in the before period and likely safety effects of the advance street name signs. Annual crash frequencies were assumed for three crash types (total crashes, older driver crashes, and rear-end crashes), as shown in table 1. A crash frequency of 7.0 total crashes per intersection per year was assumed for urban signalized intersections based on summary statistics from Massachusetts and a variety of sources, including previous studies. SafetyAnalyst assumes that rear-end collisions represent 23 percent of total crashes and that crashes involving older drivers represent 9 percent of all crashes. These assumptions were incorporated in the sample size analysis. (10) The study design assumed that the number of reference sites was equal to the number of strategy sites. Table 2 provides estimates of the required number of before and after period site-years for a 95-percent confidence level. The minimum sample indicates the level for which a study seems worthwhile; that is, it is feasible to detect with 95-percent confidence the largest effect that may reasonably be expected based on what is currently known about the strategy. In this case, a 20-percent reduction in total crashes was assumed as this upper limit on safety effectiveness. The desirable sample assumes that the reduction could be as low as 10 percent for total crashes, and this is the smallest benefit that researchers would be interested in detecting with 95-percent confidence. The logic behind this approach is that safety managers may not want to implement a measure that reduces crashes by less than 10 percent, and the sample size required to detect a reduction smaller than 10 percent would likely be prohibitively large. These sample size calculations were based on specific assumptions regarding the number of crashes per intersection and years of available data. Site-years are the number of intersections where the strategy is applied multiplied by the number of years the strategy is in place at each intersection. For example, if a strategy is applied at 9 intersections and has been in place for 3 years at all 9 intersections, there are a total of 27 site-years available for the study. The sample size values recommended in this study are highlighted in bold in table 2. The sample size estimates provided are conservative in that the state-of-the-art EB methodology proposed for the evaluations would require fewer sites than a conventional before-after study with a reference group. A minimum sample size of 37 intersection-years and a desirable sample size of at least 183 intersection-years per period were calculated as necessary for a valid evaluation of all crashes. Estimates that may be predicted with greater confidence or a smaller reduction in crashes will be detectable if there are more site-years of data available in the after period. The same holds true if there is a higher crash rate than expected in the before period. Note much additional data are required for the analysis of rear-end crashes or for crashes involving older drivers. For example, in order to detect a 10-percent change in crashes by older drivers with 95-percent confidence, 2,033 intersection-years of data would be required. Table 2. Minimum required before period site-years for treated sites, assuming a crash rate of 7.0 crashes per site-year and 95-percent confidence level. Note: Bold numbers denote values recommended in this study. It was necessary to identify a suitable reference group to be used in the EB procedure. As a general rule of thumb, 30 reference sites are required for each major category (e.g., rural/urban and three-legged/four-legged) within the strategy sites for each State. For example, if the strategy is implemented in both rural and urban areas at both three- and four-legged intersections, there are four major categories requiring 30 reference sites each (rural three-legged, rural four-legged, urban three-legged, and urban four-legged). If the strategy is only in rural areas, the number of categories would be reduced to just two major groups (rural three-legged and rural four-legged). Based on the study design, it was estimated that a maximum of 120 reference sites for each State would be needed for the EB analysis. It provides a foundation for developing guidelines for estimating the likely safety consequences of the contemplated strategy. π = The number of actual crashes reported in the after period with the strategy implemented. k = The constant for a given model and is estimated from the SPF calibration process with the use of a maximum likelihood procedure. In that process, a negative binomial distributed error structure is assumed, with k being the dispersion parameter of this distribution. A factor is then applied to m to account for the length of the after period and differences in traffic volumes between the before and after periods. This factor is the sum of the annual SPF predictions for the after period divided by P, the sum of these predictions for the before period. The result, after applying this factor, is an estimate of λ. The procedure also produces an estimate of the variance of λ. The estimate of λ is then summed over all sites in a strategy group of interest (to obtain λsum) and compared with the count of crashes observed during the after period in that group πsum). The variance of λ is also summed over all sites in the strategy group. The percent change in crashes is calculated as 100(1-,θ). Thus, a value of,θ= 0.7 with a standard deviation of 0.12 indicates a 30-percent reduction in crashes with a standard deviation of 12 percent. Arizona, Massachusetts, and Wisconsin provided installation data, including locations and dates for installations of advance street name signs at signalized intersections. These States also provided roadway geometry, traffic volumes, and crash data for both installation and reference sites. This section provides a summary of the data assembled for the analysis. The Arizona Department of Transportation (ADOT) installed advance street name signs across the State through several different initiatives, but there is no specific statewide policy concerning the installation of these signs. As shown in figure 3, the dimensions of the signs used in Arizona are 1,828.8 mm (72 inches) by 609.6 mm (24 inches) and have 203.2-mm (8-inch) white lettering with a green background. ADOT provided a database of the MUTCD D3 advance street name signs that have been installed in the State. (3) This database included the date the signs were installed, as well as the distance the signs were placed from the intersection. At several sites, more than one advance street name sign was installed per approach. The number of advance signs per intersection ranged from two to four signs, which were staggered to provide additional visual cues for drivers approaching the intersection. On average, the first signs are placed approximately 0.85 km (0.528 mi) prior to the intersection. Signs installed on interstates and ramps or signs that were installed outside the project period (before 1997 or after 2005) were removed from the database. To ensure these sites were installed at signalized intersections, this list was compared to a list of State-maintained signalized intersections provided by ADOT. Also contained in the signalized intersection database are the urban/rural designations of the intersections. Although there are several hundred intersections in this database, only signalized intersections with adequate traffic volume and intersection data were included in this study. The average cost of installation is approximately $1,200 per sign, equating to about $4,800 per intersection (assuming one sign on each of four approaches). ADOT provided a database of all State-maintained signalized intersections. This database was used to identify possible reference sites that were similar to those intersections included in the treatment group, but they did not have advance street name signs. The final reference group was selected based on the availability of traffic volume and intersection data. Aerial photography was used to obtain information related to intersection geometry. For those sites where aerial photography was not available, ADOT used photologs to provide the data. ADOT provided electronic AADT counts for each year from 1994 to 2006 and maintained comprehensive traffic data. Counts were available for all years in the before and after period for all treatment and reference locations. There was no need to estimate AADTs for any of the locations. ADOT provided electronic crash data from 1994 to 2005. The crash data contained information on driver age, which was linked by crash number to identify when older drivers were involved in crashes. Advance signs were installed on State-maintained roadways in Massachusetts as a statewide initiative in 2004. Districts were instructed to install the advance street name signs in a three-line format with the street name on the first two lines and "NEXT SIGNAL" on the third line on a 1.07-m (3.5-ft) by 0.91-m (3-ft) panel. If the intersecting street names were different on each side of the intersection, both street names were provided on the sign if space allowed or on separate panels, if necessary. The signs were placed on the right side of the street; however, if there was not sufficient space, they were placed in the median. Each district was responsible for installing the signs in their own district. Four of the five districts in Massachusetts provided a list of the locations where they had installed the signs. Three of the districts provided installation dates electronically. For the fourth district, installation dates were obtained manually from paper maintenance files. Massachusetts also provided installation costs for the advance street name signs. Based on the cost of labor and materials, the average installation cost per sign ranges from $500 to $750, equating to $2,000 to $3,000 per intersection (assuming one sign is placed on each of four approaches). Massachusetts also indicated that the service life for the advance street name signs ranges from 7 to 10 years. At the time of this study, all but one of the five districts in Massachusetts had installed the signs. The one district that had not installed the signs provided a list of intersections proposed for treatment. This list was used to identify potential reference sites. The final reference group was selected based on the availability of traffic volume and intersection data. Massachusetts provided a road inventory and associated data dictionary. The roadway inventory contained general roadway characteristics such as the urban/rural designation. Detailed intersection information, such as the number of intersection legs and the lane designations, was obtained from aerial photography. Massachusetts provided traffic counts from permanent count stations, periodic counts that occur every 2 to 3 years, and special counts that were project specific. There were limited traffic data available, which reduced the number of treatment and reference sites that could be included in the study. The Massachusetts Highway Department (MHD) conducted special counts for this study to supplement the existing data. Even with these special counts, annual traffic data were sparse for the major approach at most intersections. Therefore, an estimation process was used to compute major road AADT for years without AADT data. The first step in the process was to fit a model for the log of major road AADT within each district based on available traffic volume data for 1995-2006. The model included main effects for sites and a shared linear term for each year. Using this model, the major road AADT for 1999 was predicted for each site for which no reported value was available. A series of district-specific annual growth factors were then applied to the 1999 traffic volume counts to impute major road AADT for each site-year for which no reported value was available. Crash data were provided electronically for 2002 to 2006. Unlike Wisconsin and Arizona, the crash data did not include driver age. For the years 2002 to 2006, the crash data files were significantly different than the data files for previous years. Crash data beginning with 2002 were derived from a new registry of motor vehicles (RMV) computer system called the Crash Data System (CDS). Entirely new forms were used to collect crash reports from police and operators. This change in process affected the total reported crashes during the study period. For example, there was a 14-percent increase in total crashes between 2004 and 2005. The total crashes reported by year during the study period are reported in table 3. According to the MHD, this increase is explained primarily by the changes in data entry procedures at the RMV that resulted in a greater number of operator-only reports being entered in CDS, not necessarily due to an increase in the number of operator-only crashes or total crashes. Table 3. Total crashes reported statewide by year in Massachusetts, 2002-2004. The EB process can accommodate yearly fluctuations in crashes statewide. However, according to the MHD, these fluctuations may be in part attributable to different reporting rates by different jurisdictions. The EB does not account for fluctuations by individual town. The difference in reporting between 2003 (the year before the advance street name signs were installed) and 2005 (the year after they were installed) is very pronounced in some towns and cities. To illustrate this large fluctuation in total reported crashes in some towns, table 4 displays the total reported crashes from 2002 to 2006 for 10 cities and towns. The percent change from the before to the after period (i.e., 2003 to 2005) is also reported in this table. It is important to note that these changes are in total reported crashes for these towns. Table 4. Total reported crashes by year for 10 towns in Massachusetts. The fluctuations in these 10 towns were outliers (i.e., towns with an unusual fluctuation in crash reporting) compared to the other towns in Massachusetts; however, they were selected to demonstrate that the reporting fluctuations by town should be considered in the selection of the intersections for this study, both for treatment and reference sites. The reference sites were from a different district than the treatment sites. As such, the results of the study could be biased if towns with significant fluctuations in crash reporting (e.g., Lynn) were included in the analysis. A procedure was developed to identify outlier towns. No treatment or reference sites were drawn from these outlier towns. However, even with the criterion used in the selection of sites, there were still large fluctuations in crashes between the before and after period for some sites that had nothing to do with treatment but with reporting. This factor was considered in the interpretation of the results. The Wisconsin DOT (WisDOT) installed advance street name signs in at-grade intersections throughout the State. 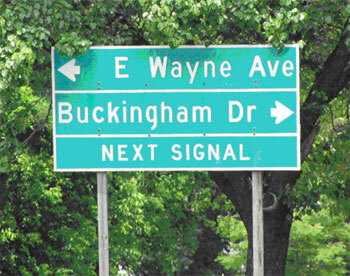 Figure 4 provides an example of an advance sign in Wisconsin. According to the State of Wisconsin Department of Transportation Traffic Guidelines Manual, two primary criteria exist for determining whether the signs shouldbe used: (1) the character of the highway and (2) the character of the intersecting roadway. (11) The signs are typically installed in at-grade intersections of all urban and rural four-lane divided highways with posted speeds of 72.45 km/h (45 mi/h) or higher and two-lane conventional highways that are on the National Highway System with a posted speed limit of 88.55 km/h (55 mi/h). The signs are optional for roadways that do not meet the criteria but where problem situations warrant signing. The manual also indicates the signs should not be placed at an intersection if the intersecting road serves retail shopping, commercial activity, activities with high concentrations of traffic entering or exiting, or large volumes of slow moving vehicles. (11) In addition, signs should not be placed where the intersecting road becomes a dead end or serves an individual property owner. The manual states that placement of the signs shouldfollow MUTCD. (11) The distance of these signs from the intersection may vary due to the presence of other signing in the area; however, the distance should not be less than 152.5 m (500 ft) for speeds of 72.45 km/h (45 mi/h) or greater. WisDOT provided a database of the MUTCD D3 advance street name signs that have been installed in the State at both signalized and unsignalized intersections. (3) This database included the date the signs were installed. This list was compared to a list of State-maintained signalized intersections provided by WisDOT. Treated signalized intersections with sufficient traffic volume and roadway data were used in the evaluation. WisDOT provided a database of all State-maintained signalized intersections. This database was used to identify possible reference sites that were similar to those intersections included in the treatment group but did not have advance street name signs. The final reference group was selected based on the availability of traffic volume and intersection data. WisDOT provided an electronic roadway inventory. The inventory provided the urban/rural designation, whether the roadway was divided or undivided, and it indicated the presence of a shoulder. Specific intersection geometry, such as number of left, through, and right-turn lanes, was obtained from aerial photography. Traffic volumes were available from county AADT maps, which were split up by county. WisDOT provided electronic crash data from 1994­­ to 2006 as well as the data dictionary. The crash data contained information on driver age, which was linked by crash number to identify when older drivers were involved in crashes. Table 5 provides crash definitions used in the three States. This information is crucial in applying the results from these States in other jurisdictions. Table 5. Definitions of crash types. Table 6. Data summary for 82 sites in Arizona. Table 7. Data summary for 65 sites in Massachusetts. Table 8. Data summary for 46 sites in Wisconsin. These tables indicate a total before period sample of 993 intersection-years of data (587 intersection-years from Arizona, 130 intersection-years from Massachusetts, and 276 intersection-years from Wisconsin). The desired sample size was 183 intersection-years to detect a 10-percent reduction in all crashes. Although the actual sample in terms of intersection-years exceeds this value, it should be noted that more sites were required than originally estimated since the before period crash rate for Arizona is much lower than the 7.0 crashes per intersection-year assumed in the study design. However, for Massachusetts and Wisconsin, the crashes per intersection-year in the before period were greater than the assumed value in the study design. The actual sample size for Wisconsin of 276 intersection-years alone compares favorably to the desirable sample size of 183 intersection-years required to detect a 10-percent reduction in all crashes. On this basis, the overall sample size was deemed adequate to proceed with the analysis. AADT = Total entering annual average daily traffic on the major road. α and β0 = Parameters estimated in the SPF calibration process. Preliminary models were developed using various forms of AADT, including major AADT and the natural log of major AADT. The study team determined that the natural log of AADT was the most appropriate form of AADT for all three States. This decision was based on an evaluation of parameter estimates (i.e., how well the parameter estimates compared to past studies). For all three States, AADT for the minor approach was not available for most of the strategy sites and, therefore, was not used in the analyses. In Massachusetts, the reference sites were in a different district than the treatment sites. Not surprisingly, the SPFs developed using data from the reference sites did a poor job of predicting the number of crashes at the treatment sites in the period prior to installation of the advance street name signs. For this reason, two SPFs were developed for each crash type; one was based on data from the reference sites, and the other was based on data from the treatment sites in the 2 years prior to installation of the advance street name signs. The SPFs developed from the treatment sites were unbiased in that all sites were treated, eliminating the possibility of regression-to-the-mean. Thus, these SPFs could be used as the basis for the EB analyses with slight modifications to estimate crash frequency in the after period had there been no treatment. The reference group SPFs were used to predict the number of crashes per year as a function of major road AADT. The yearly adjustment factors, Yi, in the treatment site SPFs were developed using the after period data at the reference sites. Specifically, the yearly adjustment factors were developed by dividing the total observed crashes by the total predicted crashes in the after period for the reference sites, where the predicted crashes were estimated from the reference group SPF. Yi were then applied with the treatment group SPF to estimate the expected crashes at treatment sites for each year in the after period had the treatment not been installed. Older driver crashes in Arizona. Instead, the study team recalibrated the model for total crashes for the respective State to obtain reasonable estimates of the expected number of crashes for each of these specific crash types. Whether the variable significantly improved the model. Whether the effect of the variable was intuitive (e.g., crashes increase as the number of approaches increases). β1 = Area type (urban/rural indicator) for Arizona and Wisconsin. β2 = Number of intersection legs for Arizona and Massachusetts. β3 = Median type (divided/undivided indicator) for Arizona. β4 = Number of approaches with right-turn lanes for Massachusetts. β5 = Number of approaches with left-turn lanes for Massachusetts. β6 = Approach to business (indicator if one approach is entrance to business) for Massachusetts and Wisconsin. These variables entered the model form as adjustments to the base value of α in equation 7. The base value of α was estimated for a particular baseline condition (i.e., rural, four-legged, undivided, no right-turn lane, no left-turn lane, and no business entrance). When the condition of the intersection was anything other than the baseline, an adjustment was applied to the base value of α . The parameter values for β1-β6 indicate the magnitude and direction of the adjustment to the base α value. Yearly adjustment factors were also computed and applied as adjustments to the base value of α similar to the β1-β6 values. Again, a baseline condition (i.e., year) was assumed, and the adjustment was applied to the base α value if the condition was anything but the baseline year. In specifying a negative binomial error structure, the "dispersion" parameter, k, was estimated iteratively from the model and the data. The dispersion parameter relates the mean and variance of the SPF estimate and is used in equation 3 and equation 4 of the EB procedure. For a given dataset, smaller values of k indicate relatively better models. The value of α used in equation 7 is obtained as e (α), where α is from the model output. Total (all severities and types combined). Injury (all fatal and injury crashes for all crash types combined). Older driver (all severities and types combined where the driver was 65 years old or older). Sideswipe (all severities combined for same direction or opposite direction sideswipes). Both aggregate and disaggregate analyses were conducted for the advance street name sign installations. The aggregate analysis included combined results for Arizona, Massachusetts, and Wisconsin, as well as for each State individually. The disaggregate analysis attempted to discern factors or conditions that may be more favorable to installing advance street name signs. The aggregate analysis provides evidence for the general effectiveness of the strategy (e.g., change in safety) while the disaggregate analysis provides insight on the situations (e.g., area type or AADT volumes) where the strategy may be more effective. The results of the two analyses are discussed in the following sections. The aggregate results are shown intable 9 through table 12. The tables show the EB estimate of the crashes expected in the after period if the treatment had not been installed, the actual number of crashes in the after period, and the change in safety. The change in safety is the estimated percent reduction in crashes due to the strategy along with the standard error (SE) of this estimate; a negative percent reduction indicates an increase in crashes. If the magnitude of the percent change is at least 1.96 times greater than the SE, the change is statistically significant at the 95-percent confidence level. Similarly, if the percent change is at least 1.64 times greater than the SE, the change is statistically significant at a confidence level of 90 percent. Safety effects that are significant at the 95-percent confidence level are denoted by bold text. Table 9. Combined results for 193 advance street name sites in all three States. Note: A negative sign (-) indicates an increase in crashes. Bold denotes those safety effects that are significant, in this case, at the 90-percent confidence level. Combined results for older drivers include data from Arizona and Wisconsin only. Table 10. Results for 82 Arizona advance street name sites. Table 11. Results for 65 Massachusetts advance street name sites. Note: A negative sign (-) indicates an increase in crashes. Bold denotes those safety effects that are significant, in this case, at the 95-percent confidence level. Table 12. Results for 46 Wisconsin advance street name sites. Older driver, rear-end, and sideswipe crashes were selected as target crash types for this strategy. A separate analysis was completed for each of the target crash types to determine potential differential effects. A separate analysis was also completed for injury crashes (i.e., fatal plus all injury crashes) to determine the effects of this strategy on crash severity. For the combined results (i.e., Arizona, Massachusetts, and Wisconsin together), there was a slight decrease in total and injury-related crashes; however, the change was insignificant at the 90-percent confidence level. A 10-percent reduction was shown for sideswipe crashes, which was significant at the 90-percent confidence level. The combined results indicated a slight increase for older driver and rear-end crashes, but the change was highly insignificant. For Arizona, there was a statistically insignificant increase in total crashes. The percent change in crashes for all target crash types was also insignificant at the 90-percent confidence level. For Massachusetts, there was a significant reduction in sideswipe crashes (27 percent) at the 95-percent confidence level. The percent change in total, rear-end, and injury-related crashes was statistically insignificant. For Wisconsin, there was a statistically insignificant reduction in total crashes. There was a slight increase in older driver crashes and a slight reduction in the other target crash types (injury-related, rear-end, and sideswipe), but they were all statistically insignificant. Due to the fact that these signs were installed as a way-finding improvement and not a safety improvement, it is not surprising that there was a minimal effect on crashes. The disaggregate analysis is presented in the following section, indicating specific situations where the strategy may be more effective. A disaggregate analysis was completed to determine if safety effects are more or less pronounced for specific conditions. Older driver, rear-end, and sideswipe crashes are the primary targets of this strategy and should properly be the basis for this analysis; however, in many cases, there are too few of these crashes to facilitate a disaggregate analysis. Therefore, a disaggregate analysis was completed for total crashes in each State (Arizona, Massachusetts, and Wisconsin) separately. The results of the disaggregate analysis are presented in appendix B and summarized below. While the disaggregate analyses indicate significant crash reductions for specific circumstances, these estimates are based on limited sample sizes and are not intended to be used as individual crash reduction factors. For Arizona and Massachusetts, advance street name signs appear to be more effective in urban areas; however, in Wisconsin, advance street name signs appear to be more effective in rural areas. Advance street name signs are more effective at three-legged intersections (signs on the major road) compared to four-legged intersections in Arizona and Massachusetts. In Wisconsin, all sites were four-legged intersections. As AADT increases, advance street name signs are more effective (particularly for AADTs greater than 10,000 vehicles per day). Increasing the number of signs per approach increases the effectiveness when comparing one or two signs on the major road to more than two signs on the major road. Advance signs on the major road were typically distributed evenly for opposing directions, but in some cases, one direction included more signs than the other (e.g., one sign for northbound traffic and two signs for southbound traffic). As the expected number of crashes in the before period increases, advance street name signs become more effective. Arizona was the only State included in this study with both divided and undivided treatment sites. Based on the disaggregate results from one State, it appears that advance street name signs are more effective on undivided roadways. The number of expected crashes is directly related to the AADT; roadways or intersections with greater traffic volumes are expected to experience more crashes than those locations with lower AADTs. Therefore, it is not surprising that the disaggregate results are similar for AADT and expected crashes. Due to the direct relationship between AADT and expected crashes, it may be sufficient for an agency to use AADT to prioritize locations; however, the expected number of crashes would be a more appropriate measure if an agency has this capability. There are advantages and disadvantages to applying the results from the disaggregate analysis. The disaggregate analysis can shed light on specific conditions where strategies may be most effective; however, disaggregate analyses are, by nature, based on smaller sample sizes than aggregate analyses. Smaller samples lead to larger confidence intervals and less precise results. A general rule cannot be applied when using either the aggregate or disaggregate analysis; rather, the choice on which analysis to use should be made on a case-by-case basis. In the case of the advance street name sign analysis, the aggregate analysis generally indicates that the use of this strategy does not significantly affect total crashes. If advance street name signs are implemented, the disaggregate analysis indicates specific conditions that should be given priority due to the relative effectiveness of this strategy (along the major road at three-legged intersections and locations with relatively large AADTs). Differential effects are discussed in the conclusions section. It should be noted, however, that further investigation was undertaken to ensure that the effects were not due to biases in the analysis. This further investigation involved an examination of the results of a naïve before-after study that simply compared crash frequencies pre- and post-strategy and did not use safety performance functions. The naïve before-after study yielded similar conclusions to the EB study regarding the influence of the number of approaches, although the magnitudes of the crash effects were different than those in appendix B. The purpose of the economic analysis was to evaluate the economic feasibility of advance street name signs. The economic analysis was accomplished by estimating the life cycle cost of the strategy and the discounted annual cost of the strategy. Crash cost savings were estimated from the most recent FHWA unit crash cost data. (8) The annual crash reduction necessary to offset the cost was estimated by comparing the cost of the strategy to the crash costs. Finally, the results from the aggregate and disaggregate crash analyses were compared to the economic analysis to determine the expected economic feasibility. Based on information from the Office of Management and Budget, a discount rate of 2.6 percent was used to determine the annual cost of the strategy. (13) This resulted in an annualized cost of $140 per sign for Arizona and $86 per sign for Massachusetts. Although the number of signs per intersection may vary, it was assumed that most intersections will have at least two signs (one for each approach of the major road), resulting in an annual cost per intersection of $280 for Arizona and $172 for Massachusetts. Consequently, a $560 and $344 annual crash savings is required per intersection to achieve a 2:1 benefit-cost ratio in Arizona and Massachusetts, respectively. The most recent FHWA mean comprehensive cost per crash is $55,060 for an undefined collision based on 2001 dollar values. (8) Similarly, the costs for rear-end and sideswipe crashes at signalized intersections are $26,735 and $34,004, respectively. Comprehensive crash costs represent the present value, computed at a discount rate, of all costs over the victim's expected life span that result from a crash. The major categories of costs used in the calculation of comprehensive crash costs include medical-related costs, emergency services, property damage, lost productivity, and monetized quality-adjusted life years. (8) The value of an undefined crash is based on the comprehensive crash costs of various crash types and the proportion of each type of crash. Based on the cost data from Arizona and assuming two signs per intersection (one on each major approach), a reduction of 0.010 crashes per intersection-year would achieve a 2:1 benefit-cost ratio. If the advance street name signs are only intended to reduce target crash types (i.e., rear-end or sideswipe crashes), a greater reduction in crashes would be needed to achieve a 2:1 benefit-cost ratio because target crash types are less costly. Based on Arizona cost data, a reduction of 0.020 rear-end crashes or 0.016 sideswipe crashes would achieve a 2:1 benefit-cost ratio. Based on the cost data from Massachusetts, the corresponding reductions are 0.006 total, 0.013 rear-end, or 0.010 sideswipe crashes to achieve a 2:1 benefit-cost ratio. If more than two signs are used per site, a greater reduction in crashes would be needed to achieve a 2:1 benefit-cost ratio because the additional signs would increase costs. Even with the conservative assumptions made, a very modest reduction in crashes is required to justify this strategy economically. Based on the results in this study, it appears that advance street name signs do not have a significant effect on total crashes at signalized intersections and would not be justified based solely on expected reduction in total crashes. The analysis of target crashes did, however, indicate a significant reduction in sideswipe crashes (10 percent) for the three States combined. Based on the number of sideswipe crashes at a given location, advance street name signs may be justified as a safety treatment. The disaggregate analysis also provides insight to locations where advance street name signs may be cost effective. The evidence suggests that the necessary reduction is more likely achievable along the major road at three-legged intersections as well as those intersections with relatively large AADTs or five or more expected crashes in the before period. The objective of this study was to evaluate the safety effectiveness of advance street name signs at signalized intersections as measured by crash frequency within 228.75 m (750 ft) of the intersection. The study was designed to detect a 10-percent reduction in all crashes with 95-percent confidence. The study also examined the effects of advance street name signs on specific crash types and for different intersection configurations (e.g., three-legged versus four-legged intersections). While it is desirable to evaluate the differential effectiveness of this strategy on related crashes (i.e., older driver, rear-end, and sideswipe crashes), there was not a sufficient number of related crashes to determine an effect with confidence. The results of the aggregate analysis indicated a small, statistically insignificant change in total crashes for Arizona, Massachusetts, Wisconsin, and overall for the three States combined. For target crash types (i.e., older driver, rear-end, and sideswipe), the aggregate analysis generally indicated no significant change in crashes. The only significant change was for sideswipe crashes, with a 27-percent reduction in Massachusetts and a 10-percent reduction for all three States combined. From a practical standpoint, results presented in table 13 support the conclusion that advance street name signs have a minimal effect on total and target crashes. This conclusion is based on the fact that none of the estimates from the combined three-State analysis are statistically significant at the 95-percent confidence level. Only the reduction in sideswipe crashes is significant at the 90-percent confidence level. The conservative estimates reflect the lower 90-percent confidence limits. Where the 90-percent confidence interval includes 0, the conservative estimate is reported as 0 percent. It may, however, be necessary to use the point estimates from the second column of the table when comparing multiple potential countermeasures, particularly when confidence limits are not available for all potential strategies. This way, all countermeasures are treated equally when making a cost-benefit comparison. Table 13. Expected crash reductions for installations of advance street name signs. In general, the aggregate analysis indicated that advance street name signs do not significantly impact total crashes at signalized intersections. Due to the fact that these signs were installed as a way-finding improvement and not a safety improvement, it is not surprising that there is a minimal effect on crashes. The disaggregate analysis provided further insight into the circumstances where advance street name signs may be more effective. Installations along the major road at three-legged intersections were found to be more effective than at four-legged intersections. Two or more signs per approach were shown to be more effective than a single sign per approach. The analysis also indicated a greater reduction in total crashes for intersections with relatively large AADTs and five or more expected crashes in the before period (i.e., those intersections with the most crashes are likely to experience greater reductions in crashes). While the disaggregate analysis did indicate significant crash reductions for specific circumstances, these estimates were based on limited sample sizes and were not intended to be used as individual crash reduction factors. The general conclusion from this research is that advance street name signs have a minimal effect on the total number of crashes at signalized intersections. Similarly, there were no significant changes in rear-end, older driver, or injury-related crashes. However, at specific locations (i.e., along the major road at three-legged intersections and locations with a relatively large AADT or number of expected crashes), this strategy has a greater potential to reduce crashes. Based on the results from Massachusetts and the three States combined, this strategy also appears to be effective for reducing sideswipe crashes within 228.75 m (750 ft) of signalized intersections. It was expected that advance street name signs would be more effective for reducing way-finding crashes, particularly sideswipe crashes, because they provide drivers with additional time to make necessary lane changes and route selection decisions. Given the very low cost of this strategy and the potential to enhance way-finding, the use of advance street name signs is justified as a way-finding improvement, particularly along the major road at three-legged intersections as well as locations with a relatively large AADT or a large expected number of crashes. From a safety standpoint, this strategy may be justified as an effective measure to reduce sideswipe crashes at or near signalized intersections, but it may not be justified as an effective measure to reduce total crashes. Table 14. Arizona total crashes-all severities. Table 15. Arizona injury crashes. Table 16. Arizona older driver crashes. Table 17. Arizona rear-end crashes. Table 18. Arizona sideswipe crashes. Table 19. Massachusetts total crashes for treatment sites, 2002-2003. Table 20. Massachusetts total crashes for reference sites, 2002-2003. Table 21. Massachusetts fatal and injury crashes for treatment sites, 2002-2003. Table 22. Massachusetts fatal and injury crashes for reference sites, 2002-2003. Table 23. Massachusetts rear-end crashes for treatment sites, 2002-2003. Table 24. Massachusetts rear-end crashes for reference sites, 2002-2003. Table 25. Massachusetts sideswipe crashes for treatment sites, 2002-2003. Table 26. Massachusetts sideswipe crashes for reference sites, 2002-2003. Table 27. Yearly adjustment factors (Yi) by crash type. Table 28. Wisconsin total crashes-all severities. Table 29. Wisconsin injury crashes. Table 30. Wisconsin older driver crashes. Table 31. Wisconsin rear-end crashes. Table 32. Wisconsin sideswipe crashes. Table 33. Results of the disaggregate analysis for Arizona. Note: A negative sign (-) indicates an increase in crashes. Bold denotes those safety effects that are significant at the 95-percent confidence level. The * symbol denotes the number of signs is not known for five sites. Table 34. Results of the disaggregate analysis for Massachusetts. Table 35. Results of the disaggregate analysis for Wisconsin. The Arizona Department of Transportation, particularly Dr. Kohinoor Kar, Jeff Boyd, Shan Chen, Jerry Ott, and Reed Henry. The MHD, particularly Neil Boudreau, Steve Timmons, Bonnie Polin, and Tom Broderick. The Wisconsin Department of Transportation, particularly Tom Heydel, Susie Ford, Scott Erdman, and Mary McFarlane. Potts, I., Stutts, J., Pfefer, R., Neuman, T.R., Slack, K.L., and Hardy, K.K. (2004). "Guidance for Implementation of the AASHTO Strategic Highway Safety Plan: A Guide for Reducing Collisions Involving Older Drivers. "NCHRP Report 500 Series, Vol. 9. Transportation Research Board. Washington, DC. 3. Federal Highway Administration. (2003). The Manual on Uniform Traffic Control Devices (MUTCD). Washington, DC. Obtained from: http://mutcd.fhwa.dot.gov/pdfs/2003r1r2/mutcd2003r1r2complet.pdf. Site last accessed June 24, 2008. 4. Waller, P. (1988). "Renewal Licensing of Older Drivers." Transportation Research Board Special Report 218: Transportation in an Aging Society, Vol. 2, 72-100. Transportation Research Board. Washington, DC. 5. Staplin, L., Lococo, K., Byington, S., and Harkey, D. (2001). Highway Design Handbook for Older Drivers and Pedestrians. Federal Highway Administration. Washington, DC. Mace, D. J. (1988). "Sign Legibility and Conspicuity." Transportation Research Board Special Report 218: Transportation in an Aging Society, Vol. 2, 270-290. Transportation Research Board. Washington, DC. Malfetti, J. L. and Winter, D. J. (1987). Safe and Unsafe Performance of Older Drivers: A Descriptive Study. AAA Foundation for Traffic Safety. Washington, DC. Council, F., Zaloshnja, E., Miller, T., and Persaud, B. (2005). Crash Cost Estimates by Maximum Police-Reported Injury Severity Within Selected Crash Geometries. Federal Highway Administration. McLean, VA.
Federal Highway Administration. (2006). "SafetyAnalyst." Washington, DC. Obtained from: http://www.safetyanalyst.org/. Site last accessed November 15, 2006. Wisconsin Department of Transportation. (Jan 2003). "Signing." Traffic Guidelines Manual, Chapter 2. Wisconsin Department of Transportation (WisDOT). STATA® Release 9. (2005). StataCorp LP. College Station, TX. Federal Register. (2008). Notice of Public Hearing. Federal Register, Vol. 73, No. 20. (January 30, 2008). Obtained from: https://www.whitehouse.gov/omb/fedreg/2008/013008_discountrate.pdf. Site last accessed June 25, 2008.